Kempie Blythe works in the field of international experiential education and transformative learning. In this post, she explores the ways in which looking at experiences abroad through a transformative lens can help better understand and facilitate the learning process. While “transformative travel” has become a buzzword over the past few years to describe international sojourns with a personal development focus, the concept is far from new. 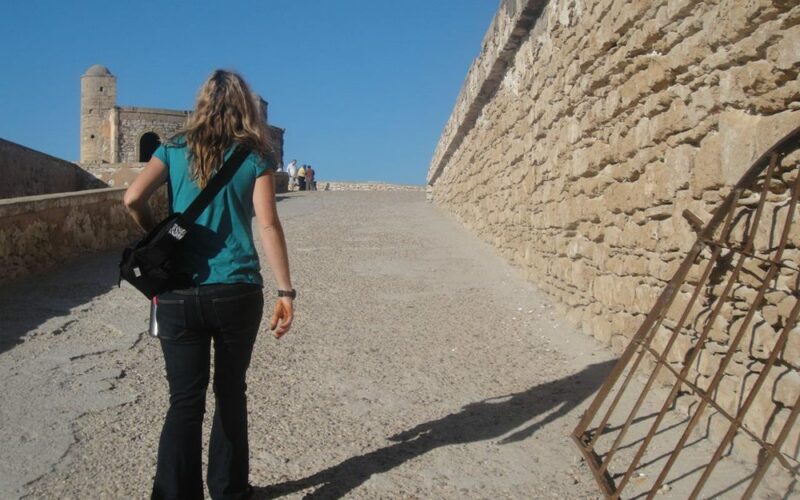 International and experiential education have been fostering these types of experiences abroad for decades. For some, the prospect of “transformation” – the opportunity to change – is greatly appealing. 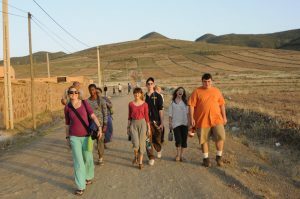 We are drawn to volunteer, travel, or study abroad for a multitude of reasons, but often a core motivation, at least in part, is the prospect of our own personal transformation through encountering unfamiliar places, cultures, and peoples. In my teens and early twenties, I was (and still am) a change-seeker. I sought out to opportunities to travel and study in destinations that were seemingly so different than my own in order to shock my system, prompt me to question why I held certain beliefs to be “true,” and think more deeply about who I wanted to be. Although I tried to be a gracious guest in these host cultures, my travels were definitely selfishly motivated by my own desire for learning, challenge, and change. These experiences felt transformative and altered my conception of the world, although I did not necessarily have a context to understand transformative learning until later on. What does it mean to have a “transformative” experience? In 1978, Jack Mezirow developed the Transformative Learning Theory to explain the processes by which adults change their perspectives to become more inclusive and discerning. A key element of a transformative learning experience is working through what Mezirow calls a “disorienting dilemma” in which learners are confronted with a situation or concept that highlights the limitations of their previously held beliefs. This dilemma challenges them to engage in critical reflection and dialogue on the nature of these beliefs, ideally resulting in a more open worldview. As a personal example, I participated in a study abroad program centered on learning about indigenous perspectives and movements across four continents. Although I was there to learn and was not planning on engaging in any sort of service activity, I found myself frustrated by taking so much wisdom from our hosts with very little to give. Perhaps I was feeling the imbalance of the varja – “learning without action is selfishness.” While I understood my place as a student in theory, I still had a yearning to contribute to the movements we were learning about, yet I did not know how to “help.” It was the first time I confronted the reality that my involvement, if any, in these spaces abroad was not asked for and often was not wanted. Solidarity was appreciated, but more often than not our hosts across continents would urge us to take this learning back home and appropriately apply it in our home contexts. This experience challenged my previously-held notions of development and autonomy. It also prompted me to critically examine my own positionality, privilege, and power. This is not to say that this transformative learning was complete. Rather it was a new understanding that led to changes in my thoughts and behaviors, but continues to be an ongoing learning process in need of deeper critical reflection, dialogue, analysis, and integration. In the context of volunteering abroad, Learning Service appropriately asks us to engage in transformative learning by confronting some of these potential disorientating dilemmas before setting foot on foreign soil: Why are we drawn to engage in service abroad? What are our expectations? What do we know about the context? This approach ultimately asks us to confront the limitations of and expand our knowledge before making a decision to volunteer abroad. Whether or not you choose to go abroad or engage in service, this critical reflection process can be transformative in itself. In my opinion, facilitation through this transformative learning process is crucial. It is invaluable to have a facilitator (or at least resources like Learning Service) to guide us through these moments when our minds are trying to justify our less than culturally appropriate decisions and reaffirm our current belief systems. No matter how ripe we are for learning, our minds tend to hold on to our current worldviews in order to maintain a homeostasis of understanding the world and our role within it. We understandably resist entering into the gray areas of the unknown and holding contradictory narratives. Experienced facilitators can help us recognize our potential blind spots, navigate through challenging moments, and support us in translating our more expansive perspectives into actions as ultimately our learning is only as useful and powerful as the way it impacts our future decisions and behaviors. We must also keep in mind that transformative learning abroad does not always align with responsible and sustainable travel. As guests in foreign land, we must move beyond our own personal development and, as Learning Service advocates for, critically consider our impact.This is something I thought less about in my youth, but became vital to my own learning and practice as an international experiential educator. Is our transformation coming at a cost? Are we, intentionally or unintentionally, imparting change on host communities? Are host communities willing participants in this change? Are their voices heard? How might historical factors such as colonialism impact their decisions and perspectives? These are the questions we must be continually asking ourselves and our hosts. In my opinion, if travel experiences are to be truly transformative they cannot overlook these issues of privilege, power, equity, and social justice. These are often the critical moments of deep and sometimes painful disorienting dilemmas in which we are forced to confront our deeply embedded cultural biases and this can ultimately lead to profound change. I think there is little doubt from anyone who has traveled, studied, volunteered, or lived abroad that travel has the potential to transform. Feeling guilty about seeking this change ultimately will not serve us. It is admirable to engage in experiences with the desire to becoming more tolerant and open. Yet as the Learning Service approach emphasizes we have the responsibility to engage with this process in a conscious, critical, and sustainable way, actively questioning, reflecting, and learning throughout the process. Kempie Blythe is the founder of Transformative Travel Consulting, which provides customized capacity building and professional development services to strengthen global education programs. She collaborates with schools, organizations, and individuals to intentionally design, implement, and evaluate transformative experiences abroad. 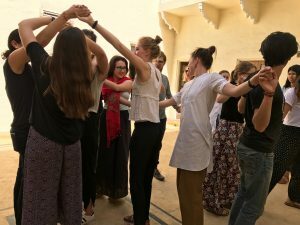 With over a decade of field experience designing, leading, and managing international experiential education programs, Kempie is passionate about creating experiences that adequately challenge and support participants in their transformative learning process while respectfully engaging with host cultures and communities.